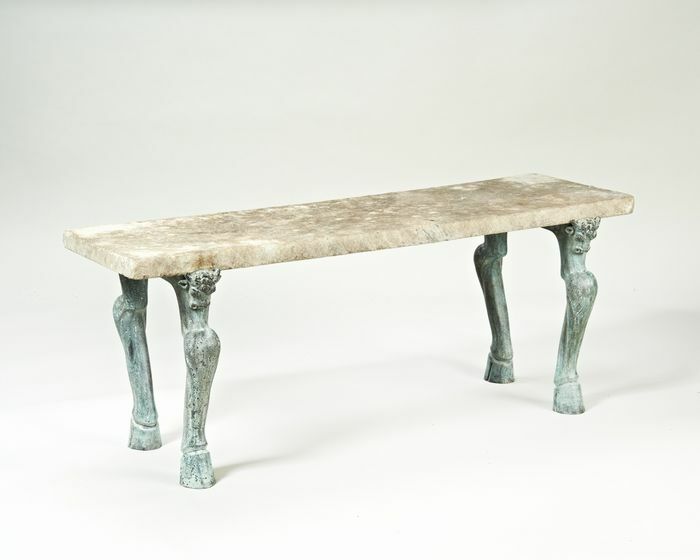 Rare and unusual Grand Tour marble and bronze bench after the antique. The legs with bull masks. Naples probably Chiurazzi foundry 2nd half 19thc.